"India is my father's country. 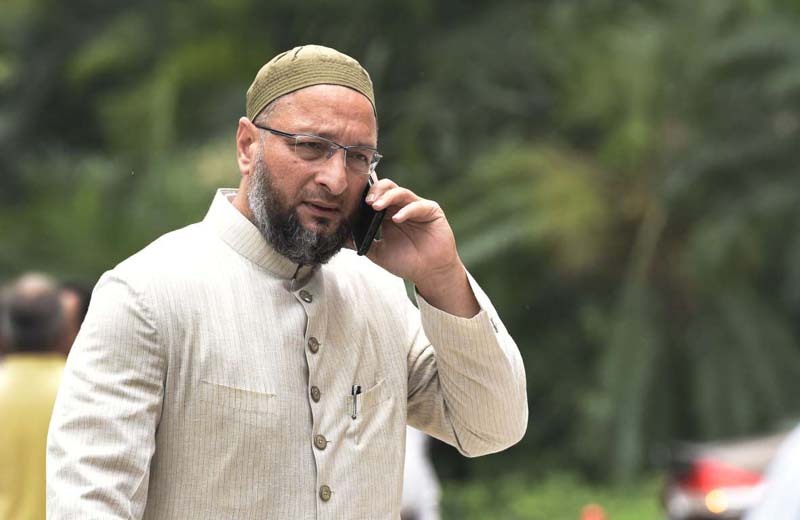 Nobody can force me flee," was how AIMIM president Asaduddin Owaisi reacted to Uttar Pradesh Chief Minister Yogi Adityanath's comment that if BJP comes to power in the Telangana, Owaisi will have to flee. "It is my religious belief that Prophet Adam, when he descended on the Earth from Paradise, came to India. Thus India is my father's country and nobody can force me flee," the Hyderabad MP told an election rally on Sunday night. Speaking at an election rally of the Bharatiya Janata Party (BJP) earlier in the day at Tandur, Adityanath had said that if his party comes to power in Telangana, Owaisi will flee the way Nizams had to flee Hyderabad. Owaisi said the Uttar Pradesh chief minister was ignorant of the history as Nizams did not flee Hyderabad. "Nizam Mir Osman Ali Khan did not flee Hyderabad. He was made 'Raj Pramukh' and when there was war with China, he offered his gold to India," he said. Meanwhile, Asaduddin Owaisi's younger brother Akbaruddin Owaisi has also reacted strongly to Adityanath's threat, saying nobody can force them to flee. "We are not the ones who will flee. Our 1,000 generations will live here," the AIMIM leader said at a public meeting.